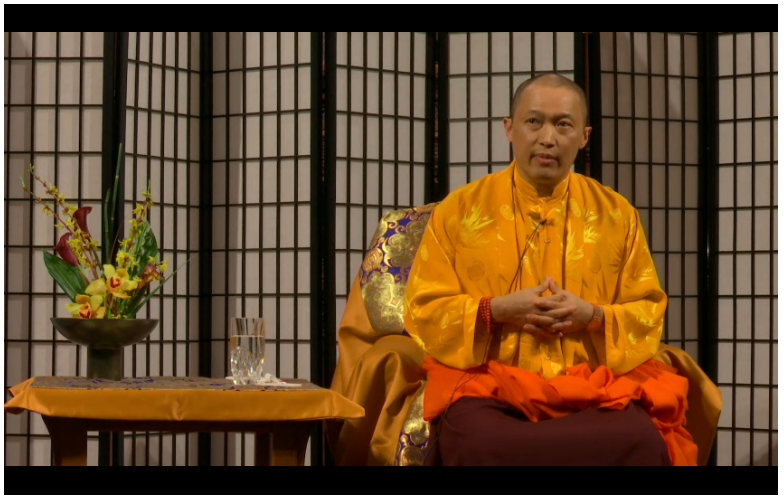 Sakyong Mipham Rinpoche spoke live from the Fourth Presbyterian Church in Chicago, Illinois, USA. Below is the raw recording in two parts. His remarks begin 48 minutes in to the first recording. We will upload a clean and edited recording as soon as possible. There is some streaming interruption towards the end of the first recording, resulting in a restart. Visit this link to watch the videos.